Since I’ve been trying to juggle full time work and somewhat of a social life, I’ve been struggling with setting a decent sleeping routine. I’m not entirely sure whether the lack of sleep, my awful diet or the fact that I’m Indian or even all three of the above are contributing factors to the god awful luggage that has appeared under my eyes. The product doesn’t feel heavy to touch however from the first use it was clear that it’s really rich. This means a little goes a long way. I usually dab two tiny dots, one under each eye and glide it on to the affected area. I like to use a patting motion with my finger just for good measure. It takes a few moments to for it to sink in and dry, once that done I can feel the area under my eyes feel tight. Luckily it’s not a horrible tight feeling where it hurts or feels sore, in fact it’s the opposite and my under eyes feel moisturised too. 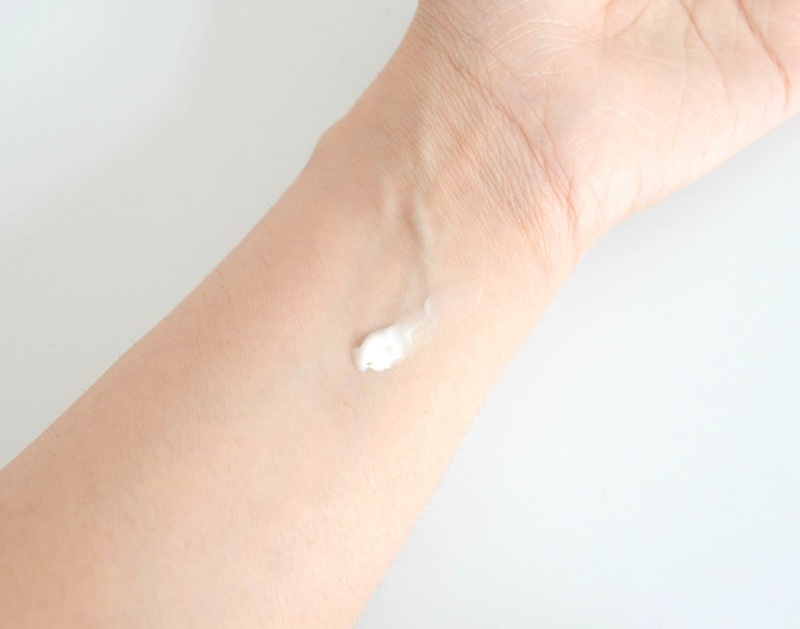 The cream has a nice consistency which is easy to use and there is a barely there fragrance to it. I’m quite fussy about the scent of products especially when they have natural ingredients and even more so if they’re going to be near my nose where I’ll be able to smell it all the time. However once the product dries, the slight herbal smell is gone so I was pleasantly surprised. Th packaging is a lovely white tube with a pink strip near the bottom. The font on the tube gives it a retro feel which I also really love. 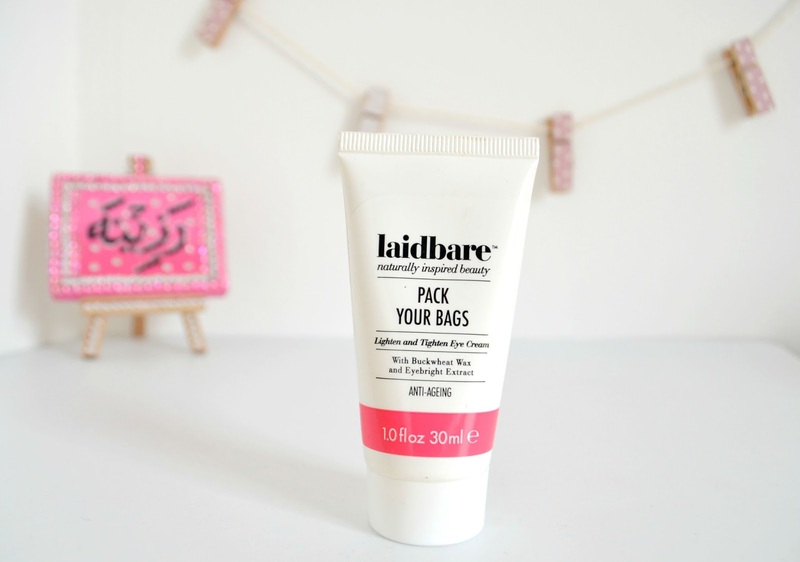 The 30ml sized tube is great to stash in your bedside drawer or even keep in your bag if you were staying away somewhere. I’ve been using the product for 5 weeks now and there has been a significant difference to my dark circles. Nothing drastic mind, but my eyes seem a little brighter in the parts that they were darkest. I’m also finding that because the area under my eyes is so well moisturised my concealer sits better. I wouldn’t say it’s a cure but it’s one of the best products I’ve found for dark circles so far, and believe me I’ve searched high and low! I love that the product is packed with natural ingredients which makes me feel a bit more at ease about using it in such a delicate place. What do you recommend for dark circles?